Porto, also known as Oporto in English, is the second-largest city in Portugal, after Lisbon, and one of the major urban areas in Southern Europe and the capital of second major great urban area in Portugal. Its administrative limits (an area of 41.66 km²/16 sq.mi) include a population of 237,584 (2011) inhabitants distributed within 15 civil parishes. The urban area of Porto, which extends beyond the administrative limits of the city, has a population of 1.3 million (2011) in an area of 389 km2 (150 sq mi), making it the second-largest urban area in Portugal. The Porto Metropolitan Area includes approximately 1.7 million people,. It is recognized as a Gamma- level global city by the Globalization and World Cities (GaWC) Study Group, being one of five cities on the Iberian Peninsula with global city status, (the others being Madrid, Barcelona, Lisbon and Valencia). 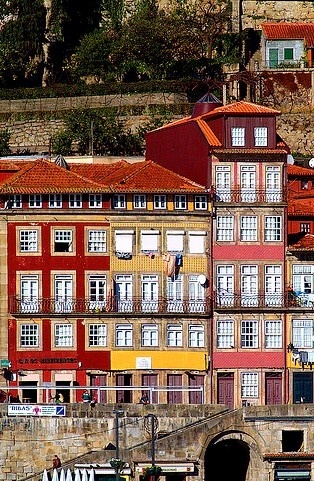 Located along the Douro river estuary in northern Portugal, Porto is one of the oldest European centres, and registered as a World Heritage Site by UNESCO in 1996. Its settlement dates back many centuries, when it was an outpost of the Roman Empire. Its Latin name, Portus Cale, has been referred to as the origin for the name "Portugal", based on transliteration and oral evolution from Latin. In Portuguese the name of the city is spelled with a definite article as "o Porto" (English: the port). Consequently, its English name evolved from a misinterpretation of the oral pronunciation and referred to as "Oporto" in modern literature and by many speakers.